A member of CIL U.S. Wines & Spirits for seven years, Alex is responsible for driving growth for the entire CIL U.S. portfolio across the United States. With more than 16 years of experience in sales and marketing, Alex began her career in the liquor industry in the on-premise and has parlayed that background into an extensive network across the country that drives CIL sales. She is based in the Fort Lauderdale office. Strengths she brings to the team: Respect for my team and their efforts, for our partners and for the brands and the companies we represent and distribute in the US. David joined CIL US in 2016 bringing extensive experience in sales, marketing and social media. David provides integrated support to the national sales and marketing team whether it be POS ordering/management, graphic design, social media or media planning and buying. He is based in the Fort Lauderdale office. Strength he brings to the team: My early years’ working at advertising agencies and later for private companies has given me a lot of KNOWLEDGE. I can wear many hats in my position - whether it be graphic designer, social media manager, or media planner & buyer. In the end, the goal is the same, help increase sales through brand recognition and promotion. Dan joined CIL US in 2016 from Trinchero Family Estates where he held a variety of sales positions. Dan brings more than nine years of sales and marketing experience working with distributor networks and developing innovative programs that drive growth. He is based in New Jersey. Strengths he brings to the team: Perseverance and determination. Jordan joins the CIL US team as Mid Atlantic Market Manager. Jordan brings seven years of experience in the on-premise and retail environments with an additional three years as a distributor sales rep in Southern New Jersey. Lynch will oversee the CAMUS portfolio expansion in Washington DC, Delaware and Maryland and will report to Dan Tindal. Strengths she brings to the team: Passion and enthusiasm. Glenn has been named Metro New York Market Manager. With a career spanning some 15 years in the wine and spirits industry, Glenn has a strong track record of driving sales in the highly competitive New York City Region. Glenn joins CIL US from Brooklyn Spirits. He will be based in Manhattan and will also report to Dan Tindal. Strengths he brings to the team: Integrity, persistence and building relationships with customers. Derek Hacker, Southeast Regional Sales Manager. Derek joined CIL US in 2012. With more than 16 years’ experience in the wine and spirits industry, Derek is particularly effective at building strong distributor relationships. Derek oversees the Southeast region for CIL US and has responsibility for Georgia, Florida, Tennessee, Missouri, and Louisiana. He is based in Atlanta, Georgia. Strengths he brings to the team: Knowledge of how to work with distributors to get them to work for the Brand and eventually take ownership in building the brand. Michael has been named Florida Market Manager and will be responsible for driving CIL portfolio sales in the on- and off-premise in the state. Michael joins CIL bringing a career of more than 10 years’ directing sales and marketing programs in Florida’s liquor industry with an additional 13 years’ sales experience in related industries. He brings strong relationships with Florida’s fine wine and spirits shops, as well as white tablecloth restaurants. Michael will be based in Ft. Lauderdale and will report to Derek Hacker. Strengths he brings to the team: Relationship building. Michael brings nearly two decades of experience in sales and marketing to his new position as Midwest Marketing Manager. Michael will use his years in sales and contacts in the Chicago market to build new placements for the CIL US portfolio as it strengthens its footprint in the Midwest. Michael is based in Chicago, Illinois. Strength he brings to the team: My personality has opened up quite a few doors, based on my relationships in the Chicagoland area. 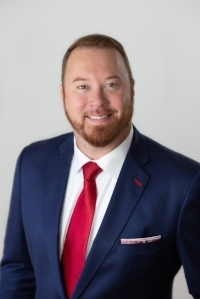 Representing the CIL US portfolio in California, Hawaii, Washington, Nevada and Arizona is Joe Bootow, with TransWorld Alliance Brokers.Joe has nearly 13+ years in sales and marketing, nearly half of which have been focused on the wine and spirits business. Strength he brings to the team: Built very good personal relationships with key customers and major distributors on the West Coast over many years. Pride myself in brand knowledge and ability to present to large groups for education and sales. Extensive knowledge of what marketing and programming works for brand success in the Western United States. Sales training and experience learned from my Fathers 50+ years in the alcohol beverage industry. I have been part in building very successful and long term growth for all different types of products as well as building the family business to what it is today.